Reawakening of excitement as the shoots come up – we’re starting to glimpse the end result! Appreciation for the wisdom, the unity, the bounty, and the love that result from combined efforts. Ahhhh. It’s not always easy, but it’s all so worth it! Enjoy what you have produced! Funny how that sometimes happens, isn’t it, Jr?! Love your way with words, Marylin – that cracked me up! Love it. Love Marylin’s summary for it, too. Thanks, Natine. I liked Marylin’s summary, too! Thanks, Carrie. Isn’t if fun seeing the growth spurts with a little TLC?? I not only see the connection, but this reminds me that I actually have written stuff with the connection and didn’t realize it. Like a poem called Marriage Doll and the husband has a watering can in his hand…. Makes sense, Luanne – such nurturing imagery! Love this time of year, Lin – it makes us thing about new growth! 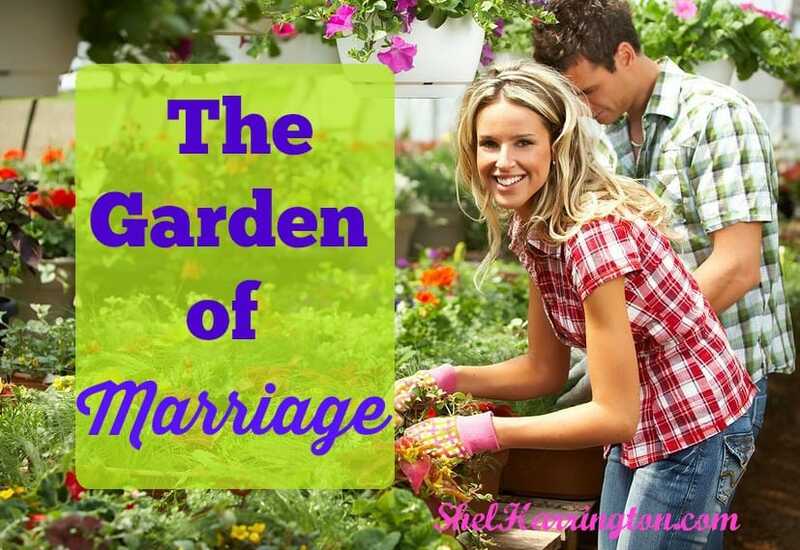 I love the analogy of nurting and tending a garden with that of a marriage. As I garden with my hubby, side by side, I am so grateful to have at last found such a blessing. Thank you for your beautiful post Shel. It is, indeed, a blessing to have in one person both somebody to labor with and somebody with whom we can share the fruits of our labor! Hope you have a great weekend, Sherri!